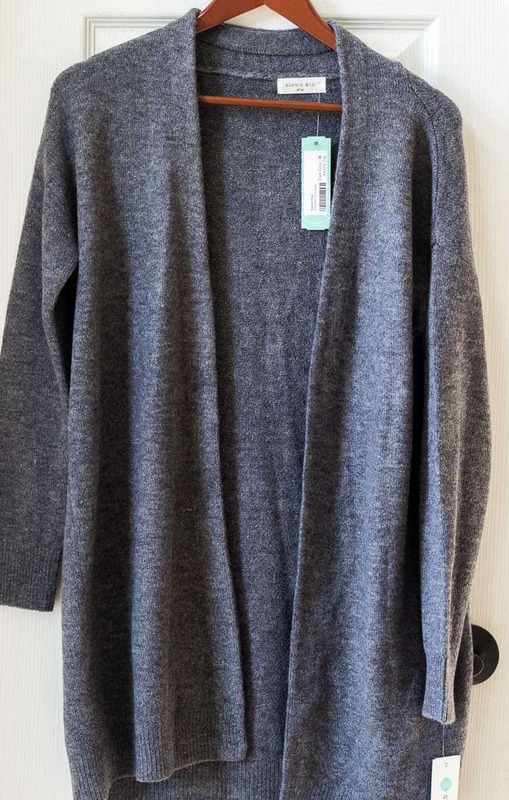 You are here: Home / Reviews / Fashion / February 2019 Stitch Fix Review + Try it FREE! 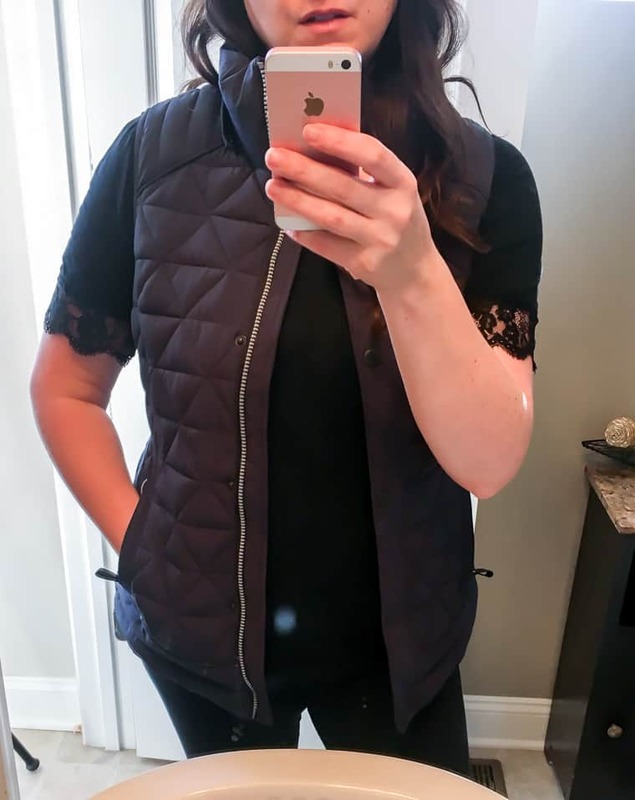 Check out all of the winter weather pieces I received in this February 2019 Stitch Fix review plus how you can try Stitch Fix for yourself – free! 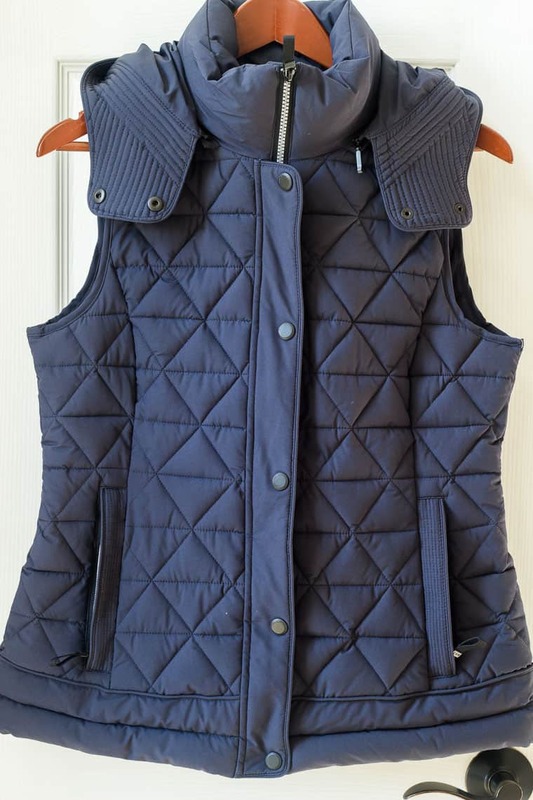 When scheduling this February 2019 Stitch Fix box, I made a few requests – a puffer vest in dark blue or black, a duster-length cardigan, casual tops to pair with joggers, and any light-weight layering pieces. Once again, my stylist did a really great job trying to provide me with something to accomodate every single one of my requests! 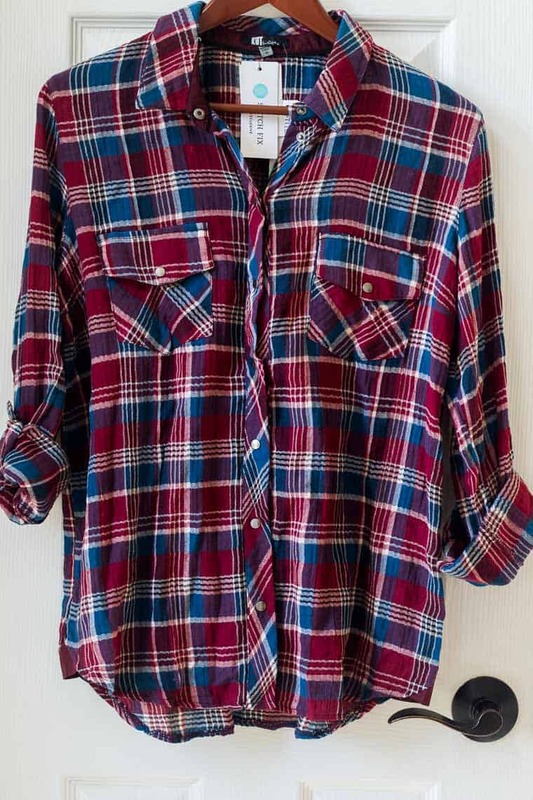 Before I get into the full review of the items I received, let me tell you a bit about Stitch Fix and how it works. If you are already familiar with Stitch Fix, skip on through until you get to the February 2019 Stitch Fix Review heading. I have been wanting to try a vest for so long. When I saw the picture of this, I knew I didn’t like the fact it had a hood. Thankfully, it was removable. Unfortunately, my usual size was too tight across the chest and I felt a size bigger would make it look even bulkier on me than it already does. I’m sad to think that maybe these types of vests will never look good on my body type. I loved this one on paper. And, I loved it in real life too! The snap buttons are a nice change! And finally, a top in my size that doesn’t peek open across the chest. The best part about this shirt is how soft it is! It’s amazing – and lightweight! A win all around for me! 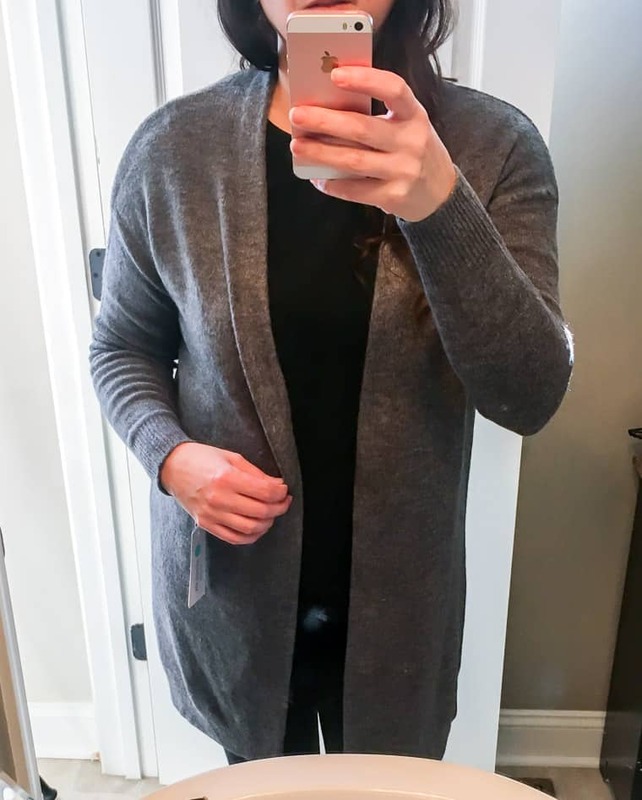 I absolutely love that this is a longer cardigan, but I was hoping for even longer when I requested a duster. In addition, this is a thicker material and I definitely always ask for lightweight. 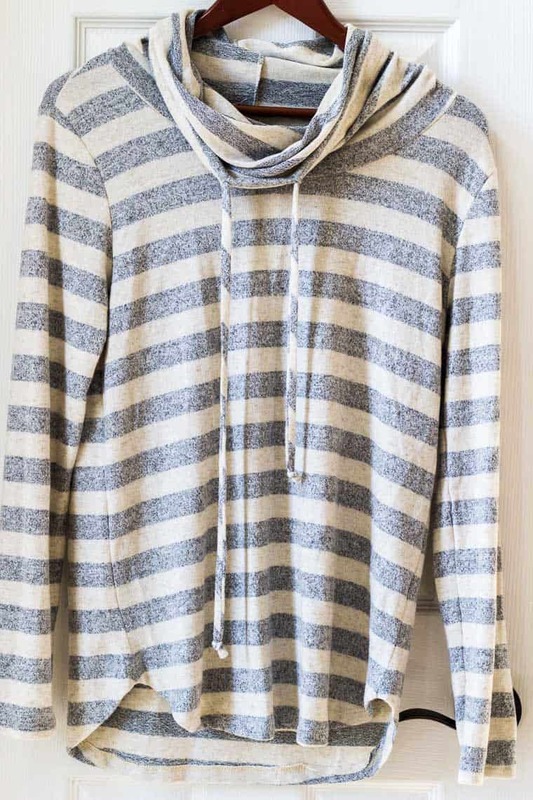 I like the neutral gray color, but again – no pockets. I don’t ever put anything in the pockets of my cardigans, but I still prefer them. Weird, I know. This top was really cute on paper and really soft in person. I liked that my stylist sent this to pair with my joggers, but unfortunately the fit wasn’t quite right to me. I felt the cowl neck was too big? It just hung awkwardly on me. And, even though the material was really soft, it had a bit of itchiness to it as well. 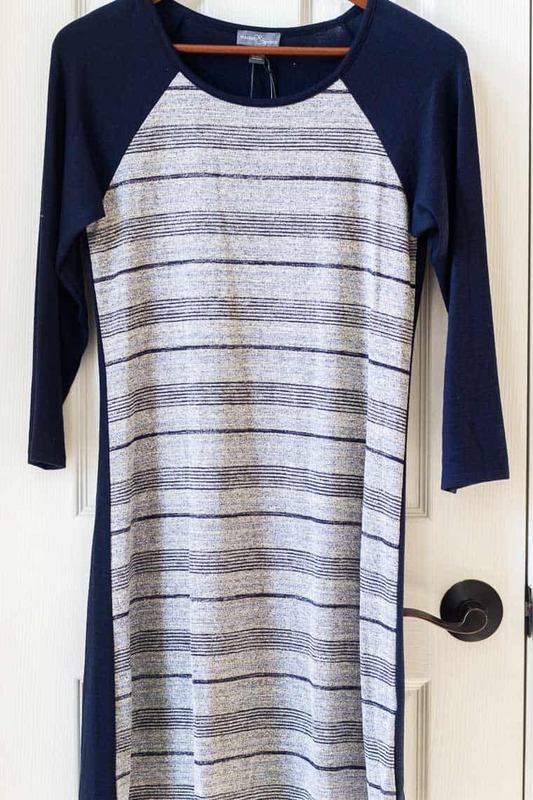 This is a knit dress. 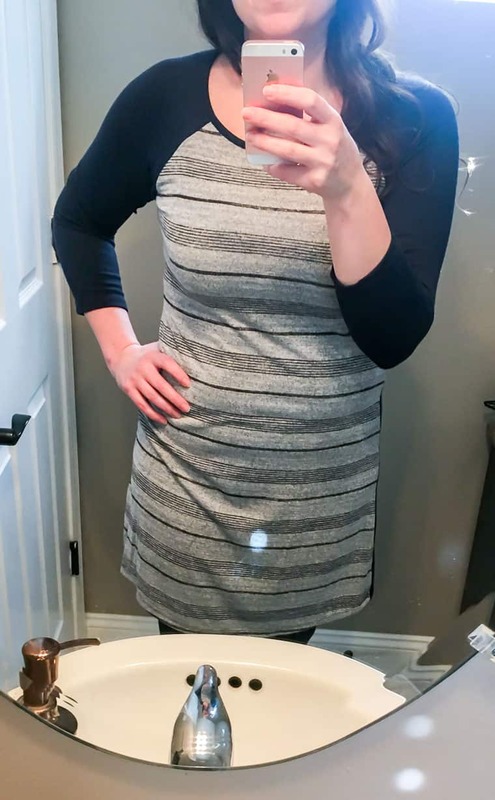 I really don’t like knit dresses. They tend to ride up when worn with tights. I also didn’t care for the print. It’s stripped on the front and solid on the back, but it seemed one side showed the line where the two patterns meet more than the other. Super picky, yes…but these things drive me crazy. In addition, I don’t like form fitting clothes that show every little bump and lump. Overall, I think my stylist tried to hit on every one of my requests. I am definitely a picky shopper and often have fit issues. On paper, all of the items looked like things I would love. The total for all of the items in this fix is $326.00. If I had bought all 5 items I would have received a discount of $81.50 which would bring the total to $244.50. Because I only kept the shirt, I paid $68.00. For my next fix I have asked only for a lightweight black cardigan, preferably with pockets, and lightweight layering pieces. I am really looking forward to seeing what they send! 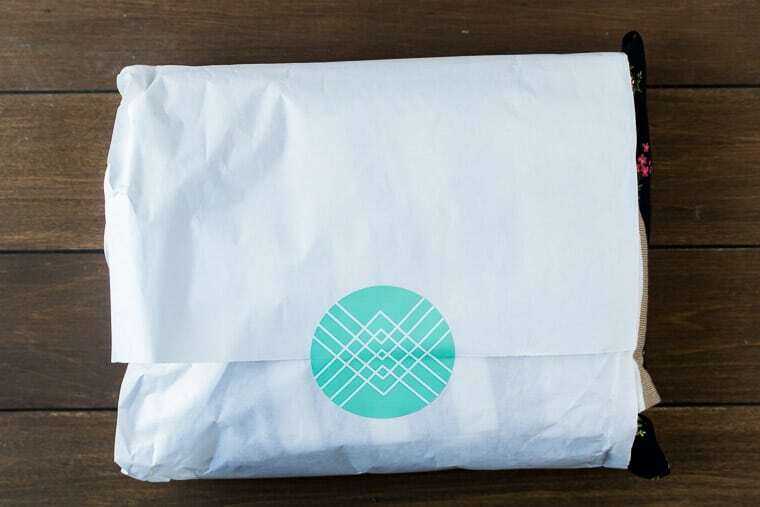 If this February 2019 Stitch Fix Review has you ready to try Stitch Fix for yourself, have good news! The first 24 people to sign up under my link will receive a $25 credit on their account (new customers only). That basically waves the styling fee and then some! You need to click HERE to sign up to get the credit! 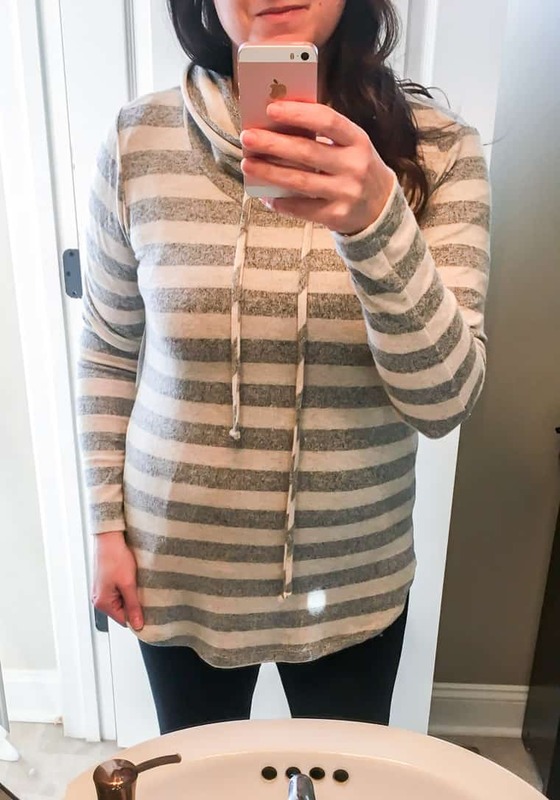 If you’d like to see more winter Stitch Fix items, you can check out my December 2018 Stitch Fix Review as well as my January 2019 Stitch Fix Review! Heads up – the links in these past posts may not give you the $25 credit. 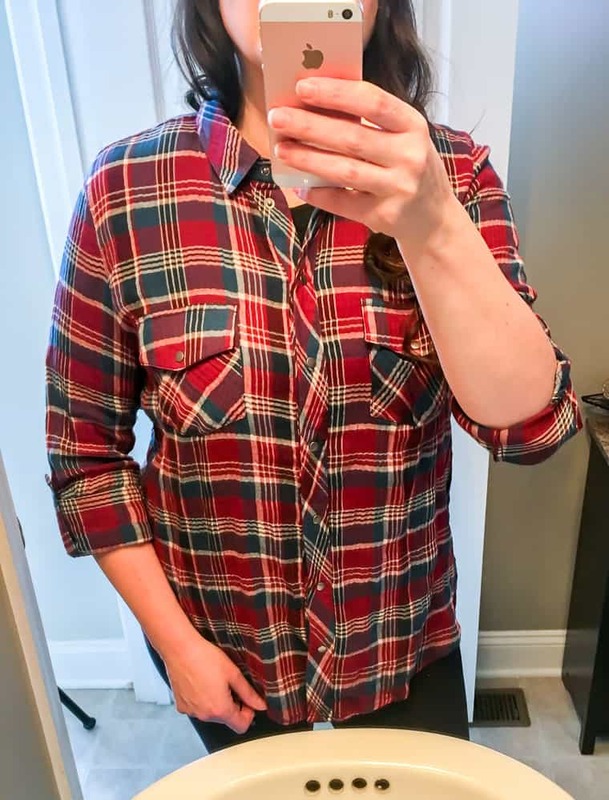 You will need to use a link within this February 2019 Stitch Fix Review post if you want to get the credit.